Check out our Who's Open page to keep you up to date on where to sleep, eat, shop, and play during the spring. The OPS Museum & Gift Shop opens for the season today. Spring hours are: Monday-Friday, 10am-4pm, and Saturday 11am-4pm. Closed Sunday. 5:58pm: Happy Spring! The Spring Equinox will take place this evening, and mark the official first day of the season. 6pm: Ocracoke Friends of the Library annual meeting @ Library. 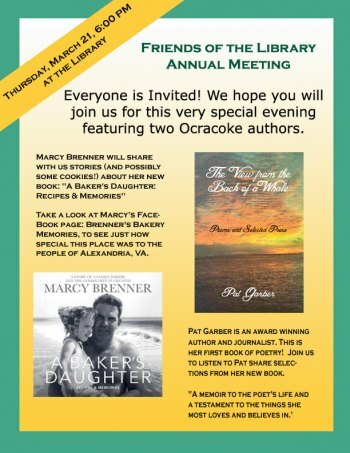 Local authors Marcy Brenner and Pat Garber will talk about their new books! There'll be a short business meeting to update the membership what Friends of the Library has done over the past year, followed by the author presentation – and refreshments! All are welcome. 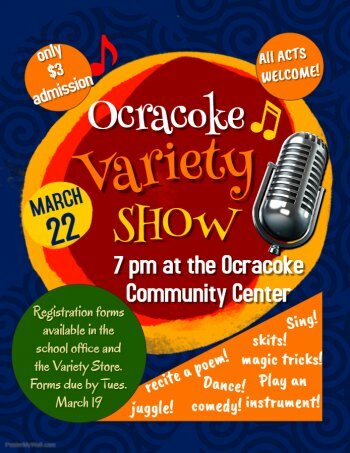 7pm: Ocracoke School PTA Variety Show @ the Community Center. Ocracoke’s got talent! Registration forms are in the school office. Community members also encouraged to participate – it's not too late to sign up. 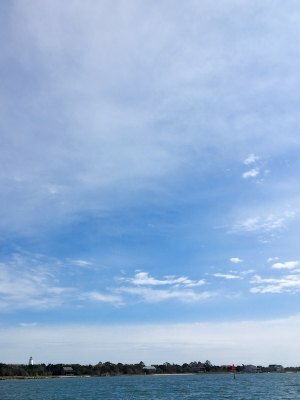 You don't need to be an Ocracoke student. If you want to be in the audience, admission is just $3! 7am: Pony Island Restaurant opens for the season. Hello, Salsa Cheese Eggs! 11am: Family Preschool Storytime @ Ocracoke Library! Ms. Claire will lead the storytimes and crafts, which will take place every other Saturday and alternate between English and Spanish. This week is English; all are welcome to this free program. 11am: Ocracoke Oyster Co. opens for the season. 6pm: Martin & Friends @ Ocracoke Oyster Co. Great music with Ocracoke's own guitar hero Martin Garrish and his favorite local musicians. 7am: Hwy. 12 in Frisco closed today. A portion of Hwy. 12 at Frisco on Hatteras Island will be closed for about 12 hours, 7am-7pm for repair. 4-wheel drive vehicles (only) can go around the construction zone. If you're headed to Ocracoke and don't have 4-wheel drive, plan to come by way of Swan Quarter or Cedar Island.